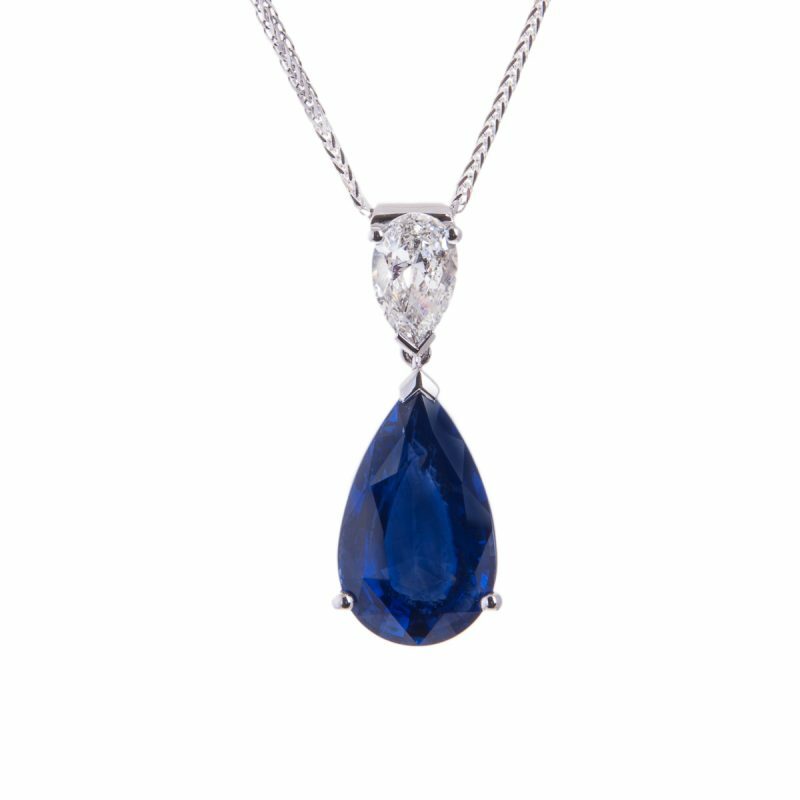 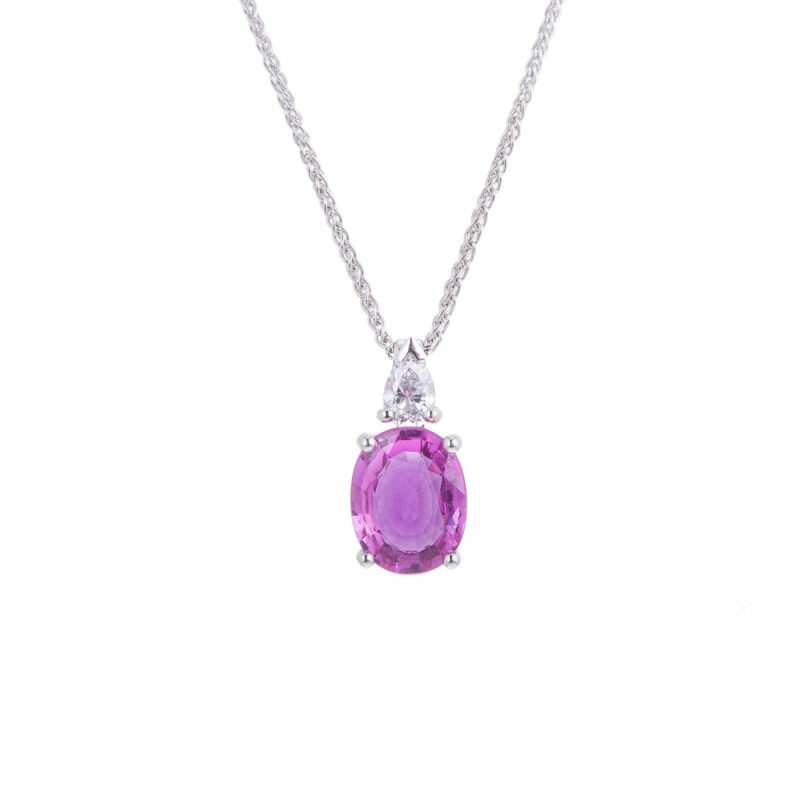 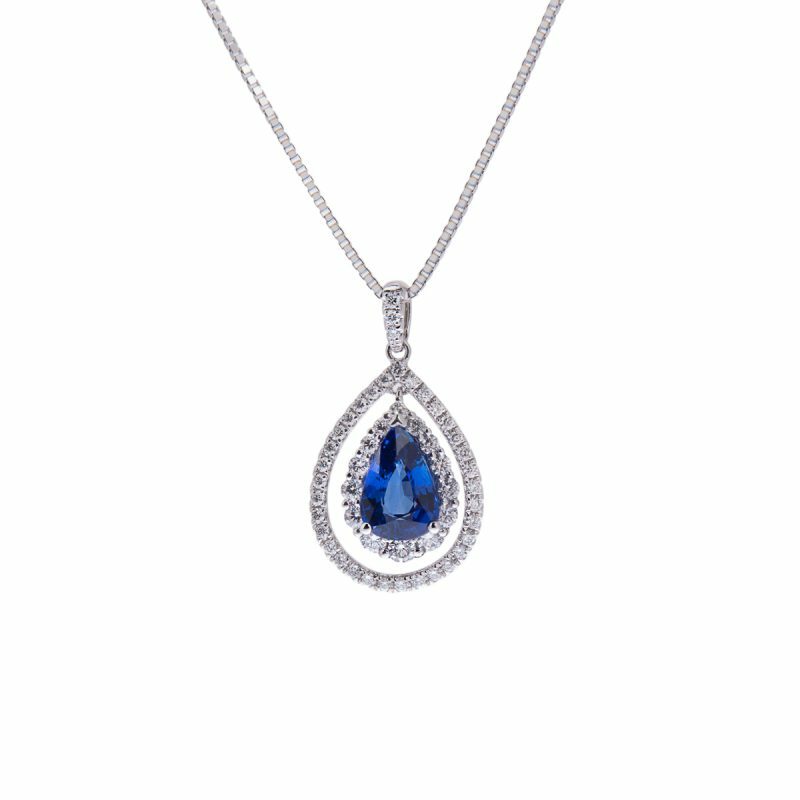 Put simply this 18ct white gold halo set sapphire and diamond pendant is made to last and looks fantastic. A pear cut sapphire with a most desirable rich velvety blue colour has been mounted in a classic claw setting, surrounded by an articulated double row of brilliant cut diamonds, adding that extra sparkle to create this stunning piece. 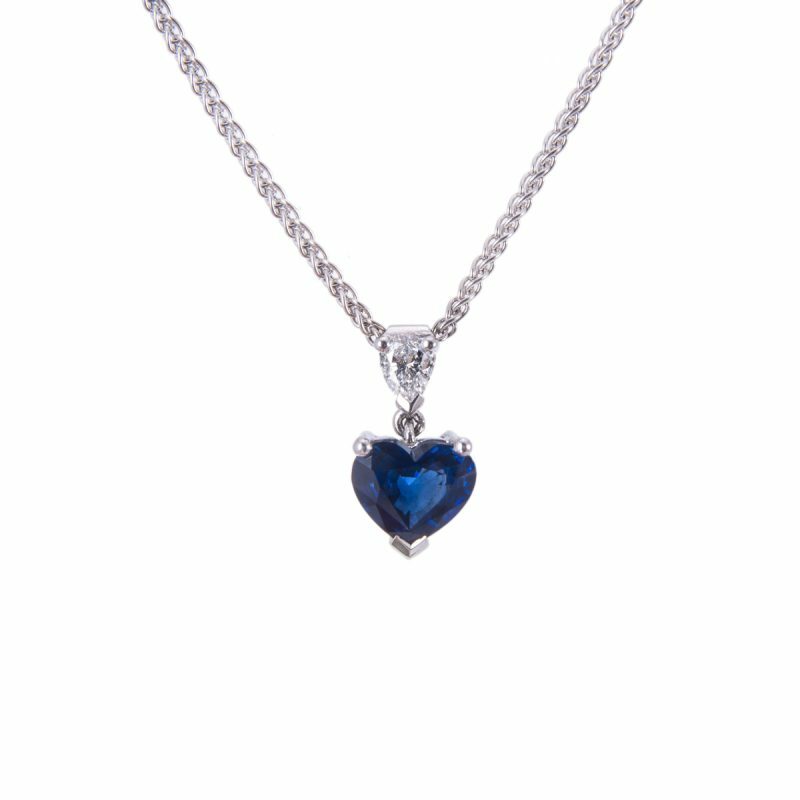 Priced complete with an 18ct white gold box link chain.